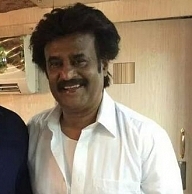 Superstar Rajini is currently busy shooting for Lingaa, directed by K.S.Ravikumar and co-starring Sonakshi Sinha, Anushka, Santhanam and a few British actors as well. A.R.Rahman, Sabu Cyril, Rathnavelu form a very formidable technical crew for Lingaa, which was touted all along to release this year itself. Though there is nothing official about it, the current buzz in the industry is that Lingaa would be hitting the screens in December this year on the 12th, coinciding with Superstar Rajini's birthday. It seems that there is a very heavy demand for all the rights associated with Lingaa, among distributors and buyers. Now that's definitely sweet news for all the industry stakeholders and of course the numerous fans of the Superstar. People looking for online information on Linga, Linga release date, Lingaa, Lingaa release date, Superstar Rajini will find this news story useful.